The brief reign of Alroy Haldane is nearly at an end, as the life of the young king of Gwynedd slowly slips away. Called back from the abbey where he has sought sanctuary for the last three years, Alroy’s twin, Prince Javan, prepares to ascend the throne—against the wishes of the former regents, who plan to enslave or destroy all Deryni in the kingdom. 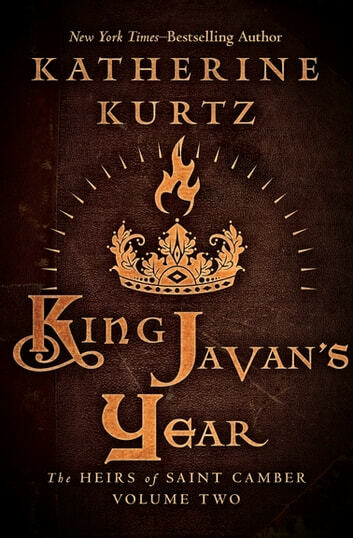 Though human, Javan secretly possesses the psychic powers of the magical race that the powerful faction of great lords and religious zealots strives to eliminate—and it is this ability that alerts him to the terrifying scope of their dark treachery. While his enemies do not yet realize how determined a foe the young liege is, Javan must summon remarkable courage and cunning if he hopes to prevail against them—or even survive. In the middle chapter of her enthralling medieval fantasy trilogy, the Heirs of Saint Camber, award-winning author Katherine Kurtz adds richness and depth to the alternate world she has so magnificently brought to life in three previous series. Blending exquisitely detailed history with breathtaking invention, Kurtz proves once again that she is without equal in the popular realm of fantasy fiction. A compelling 2nd installment of this trilogy. This second book in the Heirs of Saint Camber is full of hope and tenacity as Javan becomes King in a way his twin brother never was. Javan refuses to be swayed or controlled by what are now defunct regents in a bid to rule Gwynedd and slowly bring back tolerance, acceptance and safety for the magical Deryni people. As usual Katherine Kurtz makes you love or hate the characters, care about the future of Gywnedd and cheer on a young King.